Lionel Greengrass - THE MASSACRE AT LE PARADIS - HELL IN PARADISE - MAY, 1940. 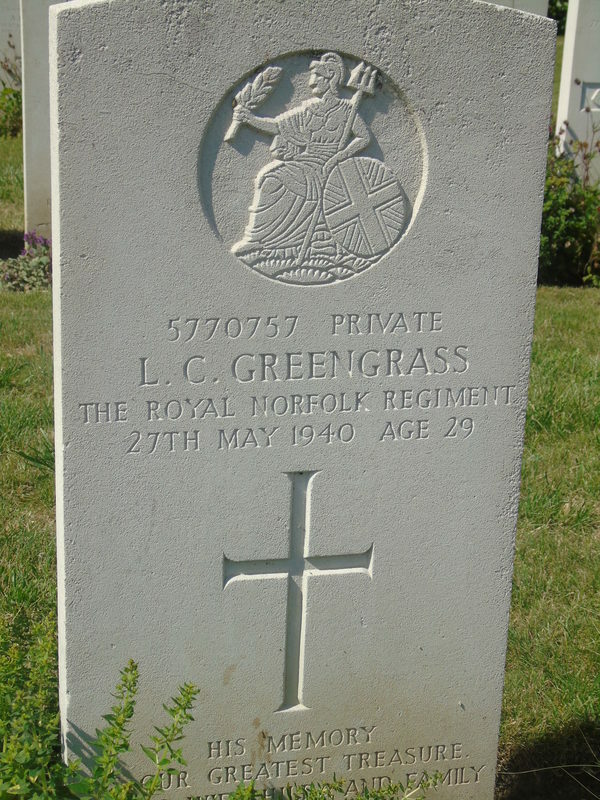 Private 5770757 Lionel Charles Greengrass. Died May 27th, 1940, aged 29. ​Son of Ernest Charles and Blanche Ann Greengrass, of Norwich; husband of Hilda Margaret Greengrass, of Norwich. Inscription includes the words: "His Memory Our Greatest Treasure.